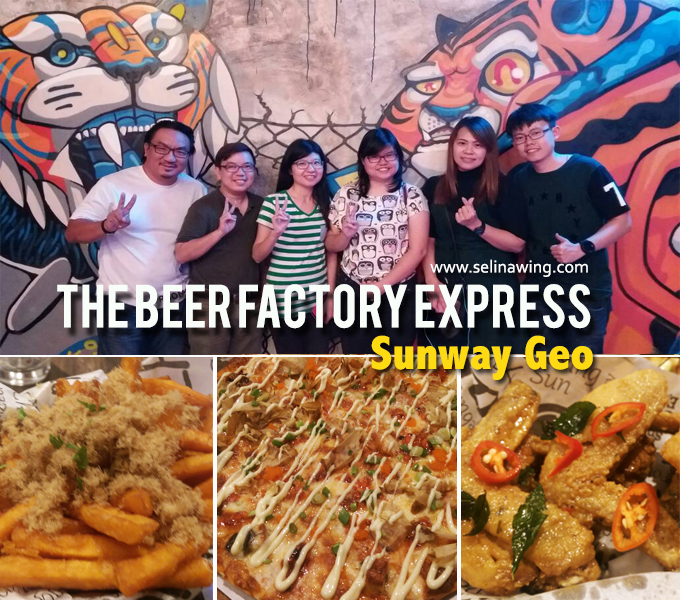 The Beer Factory Express, Malaysia's 1st app-powered, cash-less bar, which are located in Sunway Geo, newly office building, that opposite to Sunway Medical Centre and near the Sunway Pyramid only. 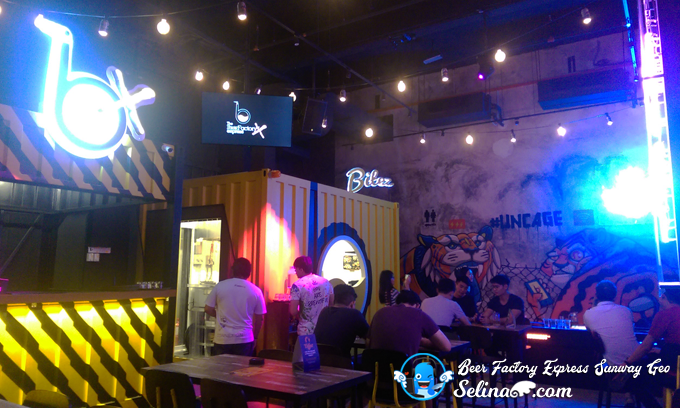 They also welcomed many beer lovers, returning and new customers who enjoy the late night! 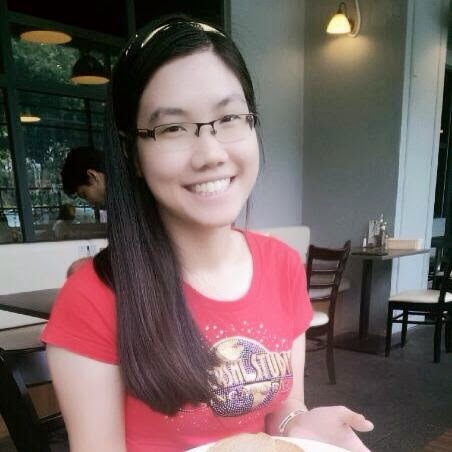 I noticed that many professionals and university students also came to have dinner. 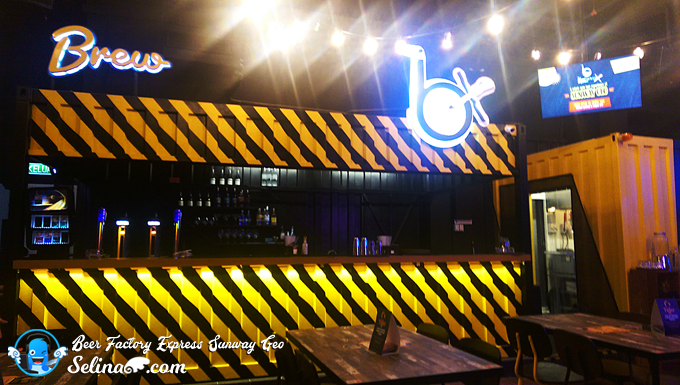 The Beer Factory Express provided the fun & music environment for the customers who enjoyed to drink beer inside! My Deaf friends and I also enjoyed to chat-chit at the outside because we need to see our sign language when the light on, not in dark mode. 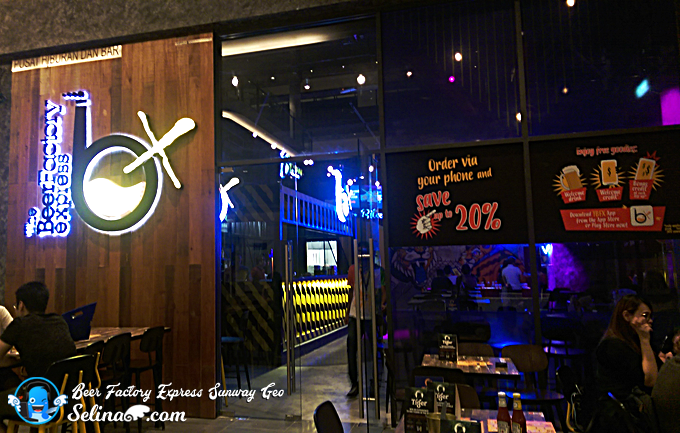 Why they use "Express"? 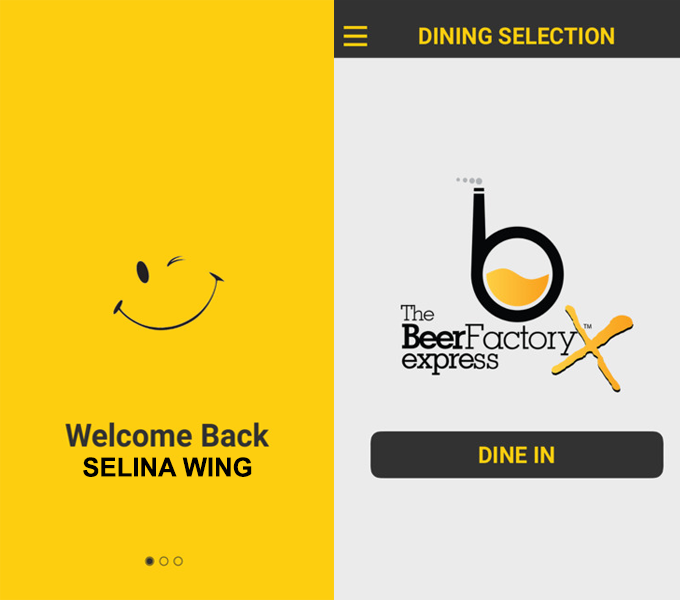 Because The Beer Factory Express is using technology app to improve service time, and payment, making life be easier for the beer lovers. 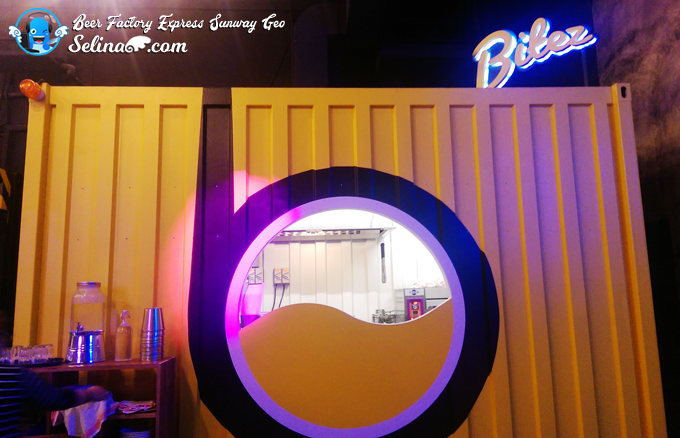 And they also provided the light food and more beers so faster after you use their app! Never heard it? 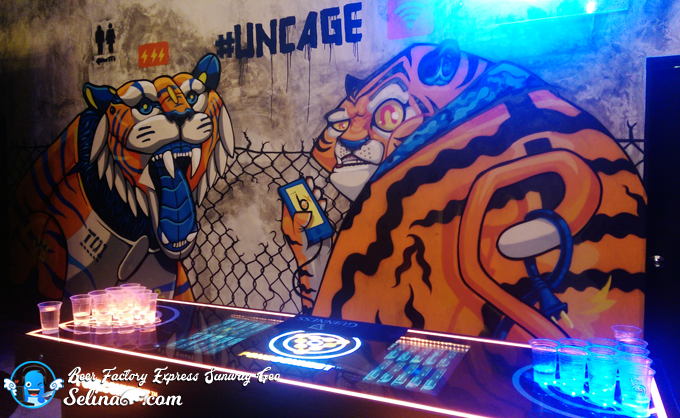 Come to drop, then try to experience it for yourself, ya! 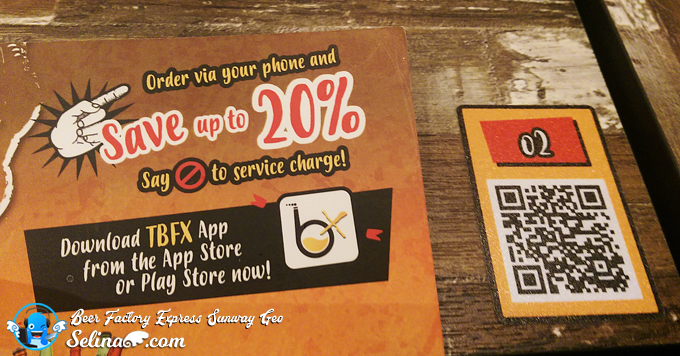 Before go to The Beer Factory Express outlet, you can install this app at home or office first ! How? 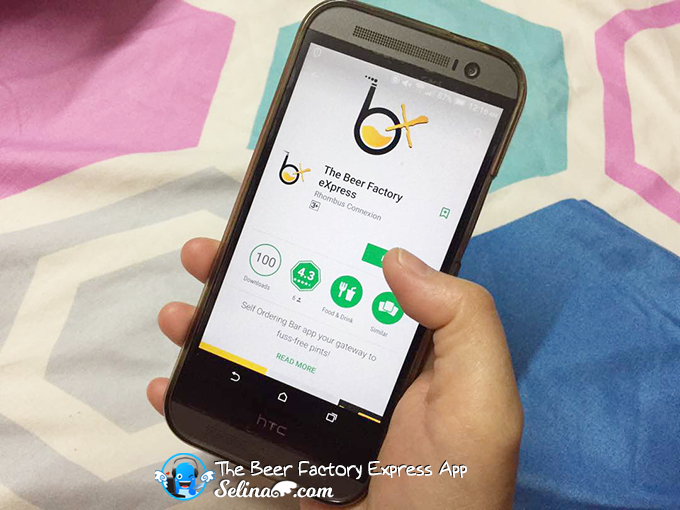 First, you download The Beer Factory Express (TBFX) app from Google Play and iOS Apple store. When your installation is done, you need to register your new account to login in if you'r new customer! 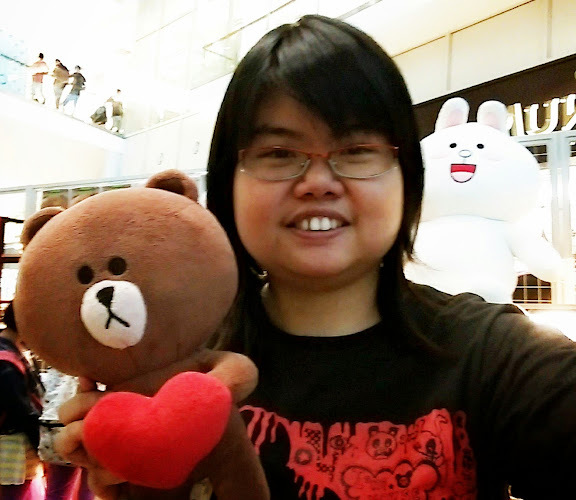 When you visit TBFX outlet again, you can use this app on anytime. 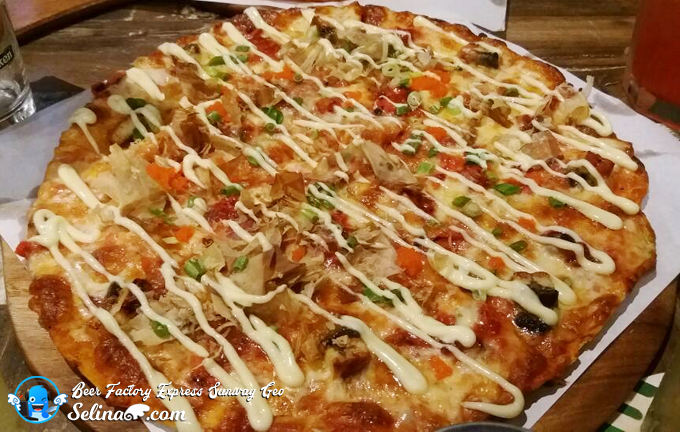 For a group of 4 - 6 persons, you can order your favorite pizza. 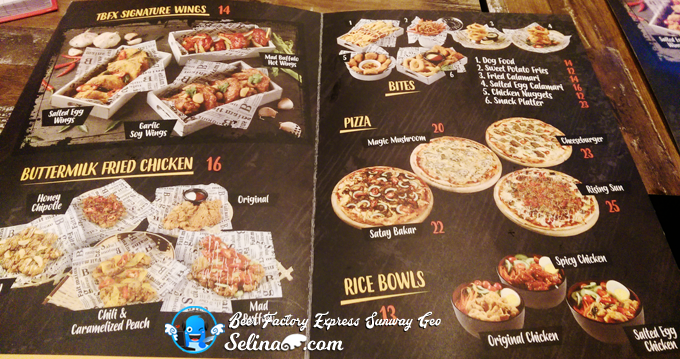 There are 4 types of pizza; Magic Mushroom, Satay Bakar, Rising Sun, Cheeseburger. 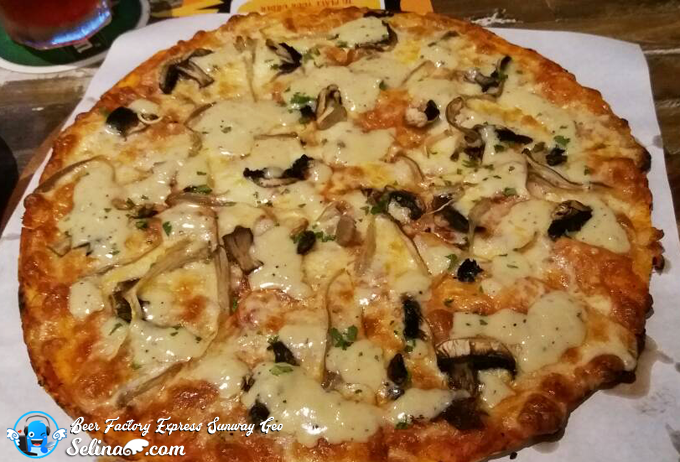 Magic Mushroom - it have more mushroom cheese and garlic sauce! 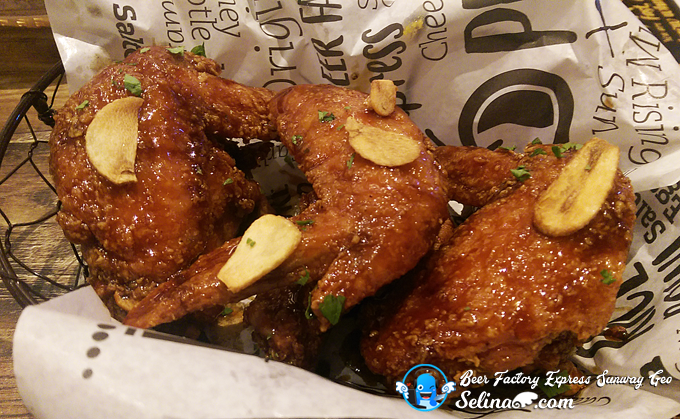 If you'r hungry more, you can try the TBFX signature wings. 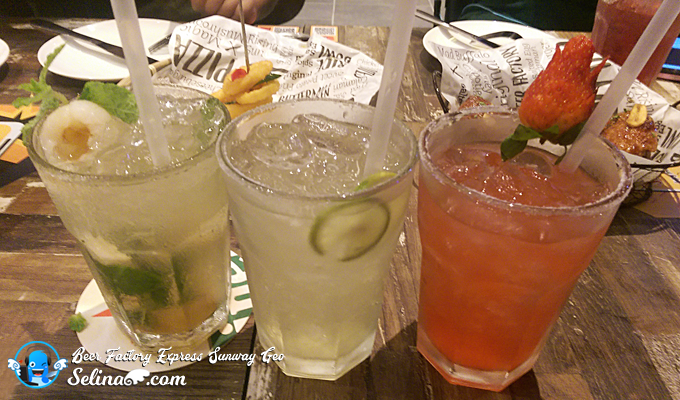 I really love it so very delicious! 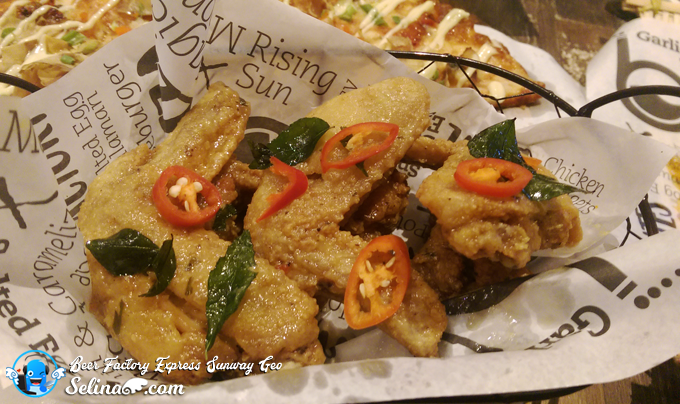 My friends and I also enjoyed to lick our finger when we grabbed the chicken wings. 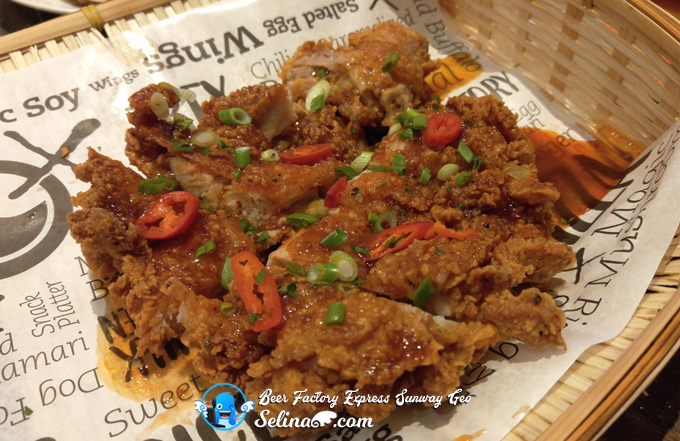 For Buttermilk fried chicken, Honey Chipotle - I tasted sweet mix with chili so good! 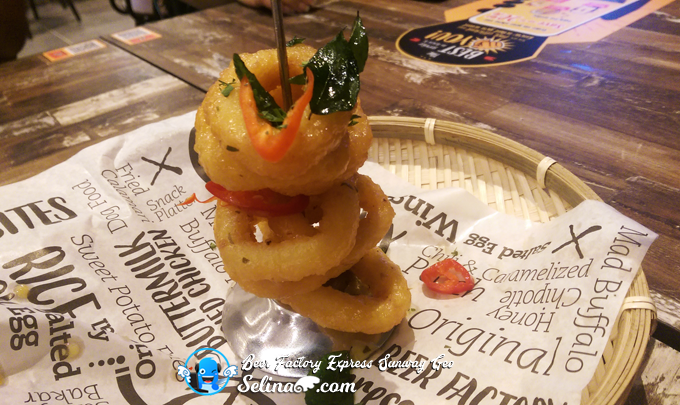 Fried Calamari - BEST choice for you! 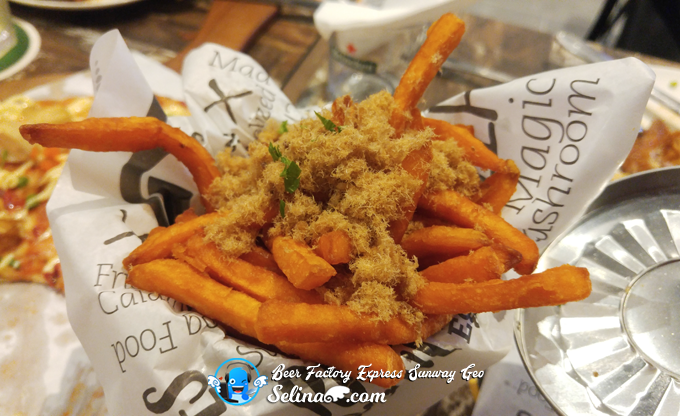 Because this calamari so soft to bite, and tasted butter sweet? 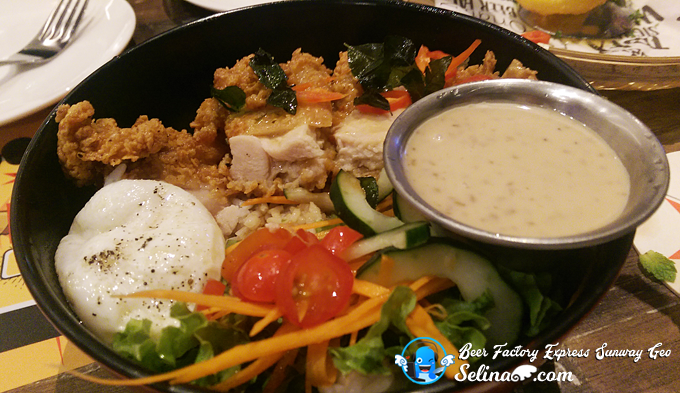 When you are tired, or need energy, you can get a Original Chicken Rice bowl~! Boring? Nothing to do than chat-chit? 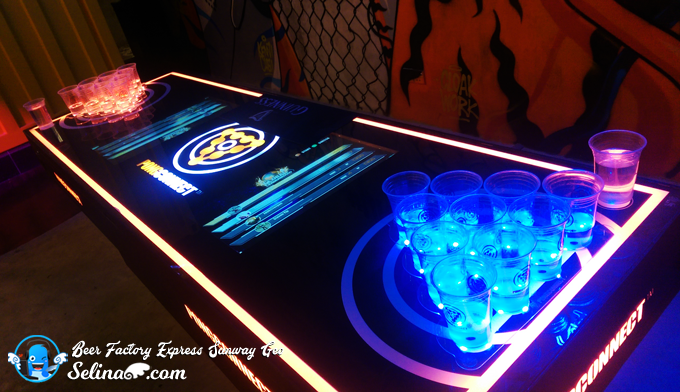 Come to join to play a beer pong game with your friends! You sure like it when your waiter who will teach you since you are new to this! 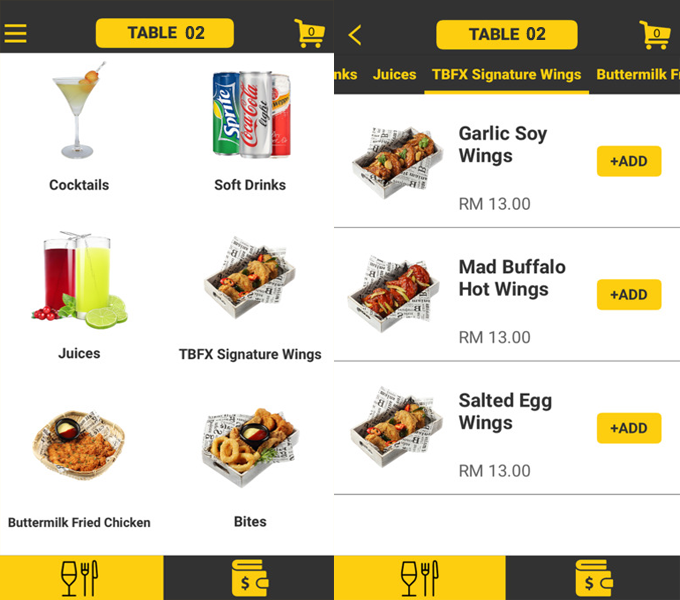 The TBFX cashless app made it so convenient to get our food and beverages via your smartphone. Cool. 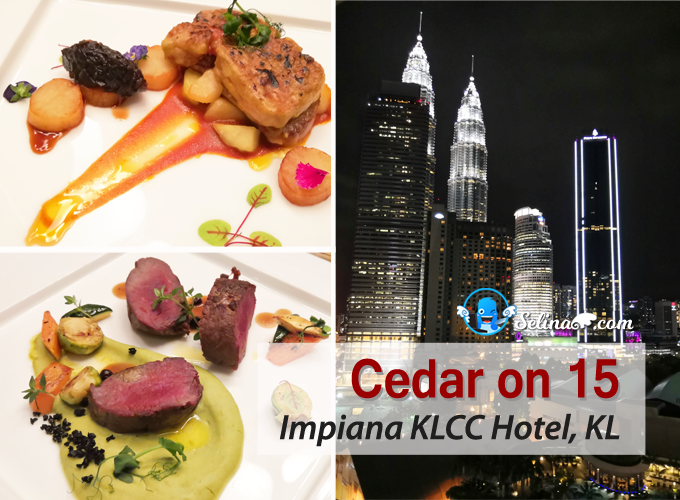 Nowadays, the customers can now make payment online to this bar/ restaurant via the app securely during the revolution of cashless technology.